I was really happy when I found out that Graeme Simsion had written a new book, as I'm a big fan of both of his other books, The Rosie Project and The Rosie Effect. 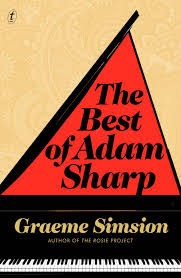 In this book, Adam Sharp is a British man, fast approaching 50, and has been in a committed (though not very passionate) relationship with his partner Claire for over twenty years. But his relationship is put to the test when Angelina Brown, an old flame of Adam's, resurfaces after she sends him an email out of the blue. The first part of the book is mainly a look back at Adam and Angelina's relationship/affair - we learn that they had met in 1989; he was a database architect, and was in Australia on a working visa. At the time, she was studying law but gave it up to become an actress. Angelina had a partner named Richard, but their relationship was rocky. After Adam and Angelina's first encounter, they began a rather steamy affair, but after much deliberation, Adam made the difficult decision to return home. They parted ways even though they were in love, and he thought she was 'the one'. Fast forward 22 years without contact, when the email arrives. Adam decides to reply, and the spark that was there all those years ago is quickly reignited. After a few months, Angelina invites Adam back into her life again, on a trip away to France, accompanied by her husband Charlie. Charlie is totally devoted to Angelina, a fantastic cook, and a pretty decent gent. Angelina is now an Equal Opportunities Commissioner, and seems to be enjoying the rewards of her success. What unfolds on the trip away is quite a complex, and rather bizarre relationship between all three. Adam and Angelina try to work out whether the love they once had in the past is enough to bring them back together for the future. But be aware that this is far from a traditional love story! I really enjoyed the characters, and whilst I didn't always agree with their reasons for their decisions, I thought that the characters were all very believable and real. I made mention earlier that Adam is a piano player, and I liked that the book had quite a few references to music throughout the story, complete with a soundtrack of songs that Graeme Simsion has included. Although this book is different from Graeme's 'Rosie' books, I enjoyed it just as much! Have you read any of Graeme's books? Which one is your favourite? Interesting to read that Graeme has written another book. I have browsed his first two titles but they didn't grab me. I am finding much of the choices in reading fiction for me these days somewhat limited by genre and generation. Nevertheless I love that people are reading and loving books as it seemed for a while that this may have been dying out. Cheers, Denyse. 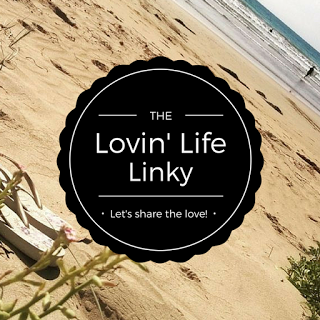 Thanks for linking up this week.